Your opinion matters. Leave your review of The Life Center for the Homeless. Description: Faith-based Christian Organization/24-Hour Shelter. 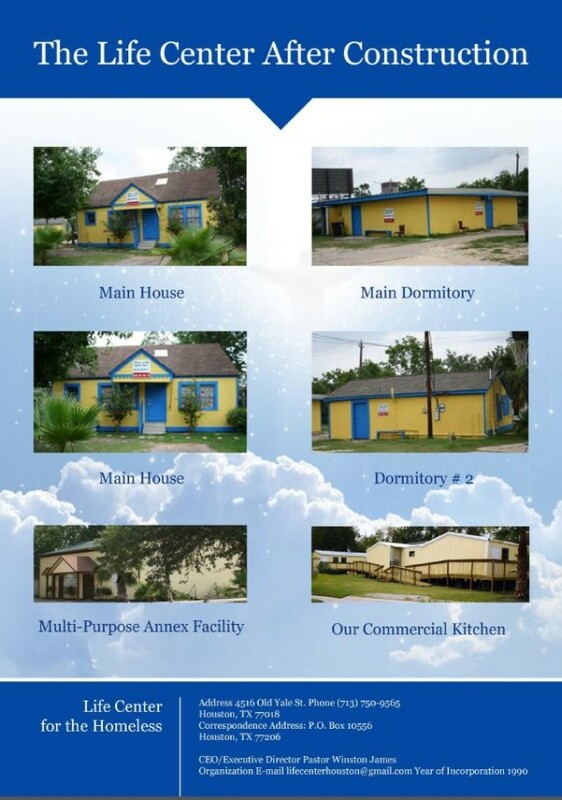 The Life Center is dedicated to serve, educate and represent the Homeless of Houston. Through the operation of a short-stay residential facility, and the combination of an educational program, an in-house work program and group counseling sessions, The Life Center hopes to impart sufficient work and basic living skills, along with a positive and focused mental attitude to Homeless individuals so they can take their proper place as productive and stable members of today's society. One of our primary goals is to provide temporary shelter for up to 70 of Houstonâ€™s Homeless and most destitute, and after the completion of our new â€œLife Centerâ€™s Hope Villageâ€, the plan is to have enough sleep space for 200. 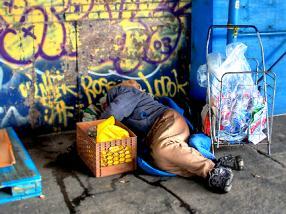 While at The Life Center, they will receive the services listed and also be referred to other agencies, ones that can assist them with getting proper identification, also agencies that help with employment, in an effort to give them opportunity to escape the cycle of life on the streets. But we canâ€™t achieve this alone. We need your support. The Life Center has not received any Government grants as of yet. The Life Center Vision began in 1989 and is a 501c3 non-profit, faith based Christian Organization. Located on Old Yale St., close to the Independence Heights area of Houston and the historical Acres Homes, we are ideally positioned to make a difference. Our present facilities include three living areas and a separate Multi â€“ Purpose Facility that can be used for educational classes, meetings and motivational sessions, and Chapel with the ability to support our community and make a visible difference. We have a total of 10 facilities and room to grow. The Life Center operates as a 24â€“hour refuge for those who are in need. There is also a 90-day Rehabilitation Program. There is an on-site Director and an outreach team. We have a non-discrimination policy. Do you have items to donate? Contact The Life Center for the Homeless at the phone number provided above to see if they can use any items you may have to donate.